DSD Business Systems today announced they will develop a multi-bin solution for Sage 100 which is compatible exclusively with ScanForce Warehouse Management Solution. The new Multi-Bin product is currently under development and is planned for an early 2016 release. It will be available to purchase as a stand-alone product from DSD Business Systems, as well as through ScanForce as a bundled Multi-Bin & Warehouse Management Solution. The Multi-Bin product will be available for Sage 100 versions 4.50, 2013, 2014, 2015, and 2016. ScanForce, a leading provider of inventory bar coding automation solutions, today announced a new partnership with DSD Business Systems. Together the companies will develop a multi-bin inventory solution for Sage 100 that offers advanced inventory management functionality. The Multi-Bin product will be designed to work exclusively with the ScanForce Warehouse Management Solution. ScanForce provides automation solutions that help businesses manage their warehouse and business operations more effectively. DSD Business Systems is a value-added reseller, specializing in the sales, implementation and customized development of accounting and business management software. “DSD’s focus on creating powerful, seamless, and reliable enhancements for Sage 100, and their emphasis on customer support and satisfaction, mirrors our approach and philosophy,” said Dan Rodriguez, Implementation Specialist at ScanForce. “We can’t overstate how excited we are to show the Sage 100 market the results of this partnership.”Both companies are excited to jointly develop a solution that will provide new and powerful functionality to Sage 100. The Multi-Bin product will be available for Sage 100 versions 4.50, 2013, 2014, 2015 and 2016. ScanForce Warehouse Management provides a feature-rich, easy-to-use solution with seamless integration to Sage 100. Additional solutions for Label Printing, Manufacturing, and Mobile Sales and round out the ScanForce suite of products designed for Sage 100. With an emphasis on implementation and customer service, ScanForce is the preferred Warehouse Management solution for Sage 100 customers and partners alike. 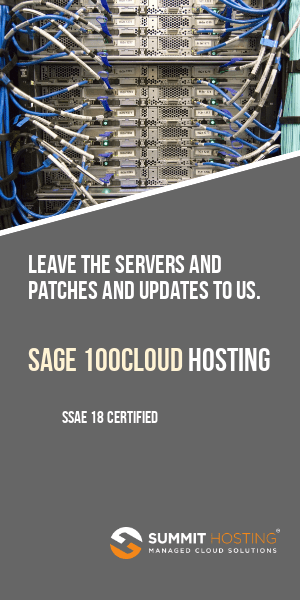 DSD Business Systems offers over 350 enhancements and extended solutions for Sage 100 and continues to develop new software solutions for clients around the world. With nationwide office locations, the company prides itself on supporting clients with the implementation and customization of business management software. About ScanForce Located in Miami, Florida, BCA Innovations, LLC d/b/a ScanForce was founded in 2006 to assist small to medium-sized businesses implement scalable, easy to use, and powerful bar coding solutions for inventory management and process automation. Today ScanForce provides a full suite of Warehouse Management Solutions as well as Mobile Sales solutions for field reps. Designed to be used at the point of activity, and can run on the latest handheld and tablet devices running Windows, Apple iOS, and Android. ScanForce provides U.S. based support for all of its solutions. For more information, visit http://www.ScanForce.com.